An international league of scientists is kicking off the decades-long process of developing the successor to the Large Hadron Collider, the world's largest and most powerful particle accelerator. More than 500 scientists gathered in Berlin, Germany, from 29 May to 2 June to discuss the future of particle physics. The event was organised by the Future Circular Collider (FCC) Study, an international collaboration of physicists, and focused on developing the next Large Hadron Collider (LHC), which will be seven times more powerful. 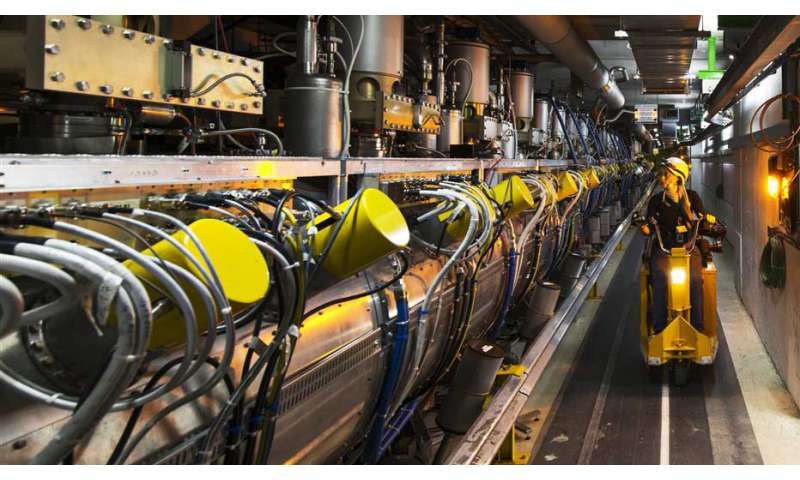 Hosted by CERN, the European Organization for Nuclear Research, the LHC is at the forefront of particle research and accelerates high-energy particle beams around a 27-kilometre looped tunnel. It collides these particles to release extreme levels of energy, and in doing so, seeks to reveal the elusive building blocks of the universe. In 2012, the LHC confirmed the existence of the Higgs boson—the last unseen elemental particle in the Standard Model of physics, the one giving mass to all matter in our universe. But finding the Higgs boson ended up leaving physicists with more questions than answers. EuroCirCol, a four-year European-funded study, is now investigating future experiments and the technology needed to get there. The project is laying the foundation for a particle accelerator three times larger than the LHC, with double-strength magnets enabling researchers to smash particle beams together with a power of up to 100 tera electron Volts—an acceleration of particles roughly equivalent to 10 million lightning strikes. According to Professor Michael Benedikt, leader of the FCC, this energy leap could let us spot previously unobserved particles even heavier than the Higgs boson, which would give a deeper insight into the laws that govern the universe. "When you look into things like the movement of galaxies, we see that we can only understand and explain about 5 % of what we observe," says Prof. Benedikt, who is also the project coordinator of EuroCirCol. 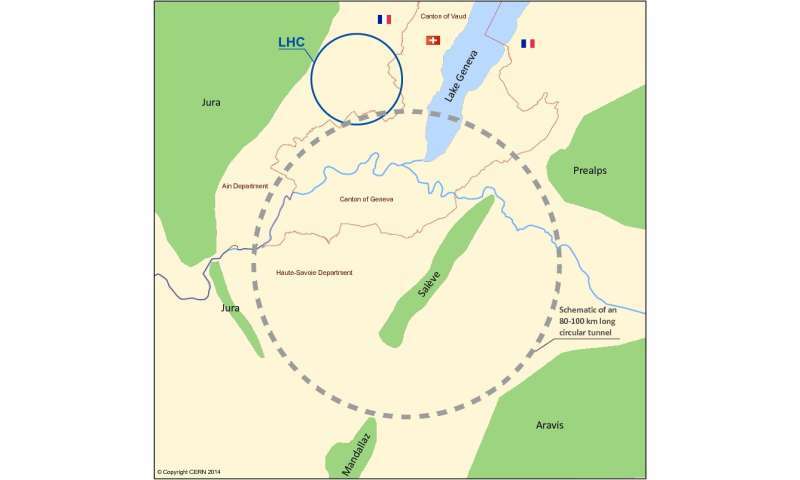 Another question bound to be asked is why a new collider is needed when construction of the LHC, the world's largest science facility, was only finished in 2008 and cost around EUR 4 billion. For a start, the LHC is not sitting idle. It's hunting for further particles and signatures of physics until the mid-2020s, after which it should be upgraded for ten years with a boosted rate of particle collisions. And the fact that the LHC officially took almost 30 years to create, from initial planning through to flicking the switch, means researchers already have to start plotting for its successor. Professor Carsten P. Welsch, head of physics at the University of Liverpool, says that mankind wanting to understand the underlying principles of nature is not the only driver behind such science. "The beauty of physics is that we have these two strands," said Prof. Welsch, who is also the communications coordinator for EuroCirCol. "On the one hand it's asking those very fundamental questions, but on the other hand, it's not forgetting that there is almost always a direct link to applications that benefit society immediately." Tim Berners-Lee, a British scientist at CERN, invented the World Wide Web in 1989, but the LHC also led to other breakthroughs like hadron therapies for treating cancer and medical imaging advances. According to Prof. Welsch, the next LHC could lead to more radiation-resistant materials that can carry greater power, which is applicable to future nuclear reactors and power networks. "Likewise, the high-field magnets will find direct applications in hospitals where technologies like MRI scans can improve on their resolutions with increased magnetic field strengths." Prof. Benedikt is confident the accelerator design concepts "will lead to the performance we want and need". A prototype of the advanced cryogenic beam vacuum system required for the FCC is already being tested in Germany, but whatever the final concept, Prof. Benedikt says 2018 will shape technical requirements and feed into the FCC study to kick off preparations. The formidable feat of creating the next LHC would require global cooperation, heavy funding and researchers still active in 20 years, by which point Prof. Welsch reckons he'll have retired. Which is why he says much of the FCC event is dedicated to outreach; tempting schools and the public with proton football, an interactive LHC tunnel, and augmented reality accelerators. Prof. Welsch says the latter allows anyone to make their own virtual particle accelerator using a smartphone app that turns paper cubes printed with QR codes into high-tech components. "I put a paper box on the table, the camera and app see it as an ion particle source sitting on my office table—similar to Pokémon Go—and here I can see particles flying all over my desk. Adding a second box, I can see how a magnet bends my particles and so on." He says such outreach is vital for not only bringing the next generations into science but ensuring anyone can still connect to and get excited by more specialised research. "We've had seven-year-old kids, who, when asked what they're doing, tell their mothers they are deflecting charged particles using dipole magnets." What's next for the Large Hadron Collider? What will we find next inside the Large Hadron Collider? "the performance we want" is creation of stable 'ball lightning" as an enduring energy source. We do not now nor will we ever have the energy to create fusion. The science cannot say so as we have spread fission depleted fuel rods--highly radioactive---across the globe in our hubristic tinkering with atomic matter. OK, apart from being a garbled mess: What does this have to do with the article? That's just swell, a trillion dollar boondoggle waiting in the wings. No wonder the defenders of the failed standard theory are so eager to protect their beliefs against the scientific heretics. Unrepentant greed and job security. So the next ring beyond this proposal will take it to conjunction with the equator. And what could we do with an equatorial accelerator? Make kilos of antimatter? I've been wondering when consideration for such a facility would be serious. I almost certainly won't be alive when such a facility is built and operating, but I support construction of said facility simply to know more than what we know now. I don't understand your objections. Fundamental scientific research always pays off, it just might take some time to do so, and in the meantime, it generates interesting results and outcomes and advances basic knowledge. In addition, I think you live in the USA? You might have missed these notes in the article: "a four-year European-funded study" (so no impact on your taxes), and "...CERN, invented the World Wide Web... but the LHC also led to other breakthroughs like hadron therapies for treating cancer and medical imaging advances", amongst others, all of which are vastly more valuable than the cost of the entire CERN infrastructure and projects. LHC delivers no new physics, so can we have a few Ebillion more to try again? I think not. The LHC didn't prove supersymmetry or give us the tools to find a quantum theory of gravity, but it did plenty of other things. I don't think Peter Higgs, for one, regrets the investment. The cool thing about science is that the process of making stuff bigger and better often leads to unrelated discoveries. It's hard to put a price tag on that.